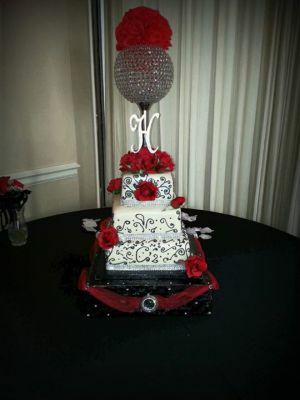 We work with each bride and groom individually to make their wedding cake personalized and special. We recommend scheduling and consultation as far in advance as possible to ensure the date of your wedding is available. Our cakes are made to order and so we can cater to any flavor that you would like. 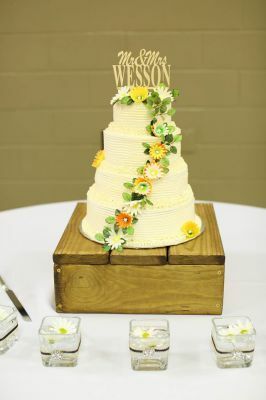 The cake designs are also customized for each couple’s taste. If you have a picture of a cake you’d like, we always welcome them! The cake shape is up to you as well – Round, square, or octagonal. Design elements include, but aren’t limited to: Buttercream basketweave, swiss dots, sugar flowers, lace work, sugarpaste ribbons and bows. Colors are up to you – anything from classic white, to hot pink! For more ideas check out our wedding cake design gallery. If you do not want to opt for a wedding cake, we can do decorative cupcakes on tiered stands. We happily deliver and setup all wedding cakes. Cake cutting is also available upon request and an additional fee. We can't wait to make your special day SWEET! !